Find an Adele Tribute Act for hire near you in minutes! Option 1. Enter your event location below & contact an Adele Tribute Act directly! Option 2. Request multiple quotes from available Adele Tribute Acts Get Quotes! Option 3. Read information & advice on hiring Adele Tribute Acts Read Advice! WANT TO KNOW MORE ABOUT Adele TRIBUTE ACTs? Read on for the most comprehensive guide to booking an Adele Tribute Act, including how much an Adele Tribute Act costs, exactly what they will do at your event, plus tips, advice and information to help make your event one to remember! What exactly will an Adele TRIBUTE ACT do at your event? Adele has become one of the most successful singers of the 21st century with millions of record breaking albums sold worldwide! Adele’s ’25’ album was the first album to sell over 3 million copies in a week in the US! When you hire an Adele Tribute Act, you can bet that the professional singer will cover Adele’s best songs! This may well include Adele songs such as ‘Hello’, ‘Someone Like You’, ‘Rolling in the Deep’, ’Send my Love’, ‘When we were Young’, ‘Make you feel my Love’, and the amazing James Bond theme song ‘Skyfall!’. The Adele Covers Act will take on Adele’s famous vocal range, taking into consideration her smokey tones and her unique pronunciation. To add to the realism of the show, the Adele Tribute Act will additionally incorporate Adele’s boho-style! 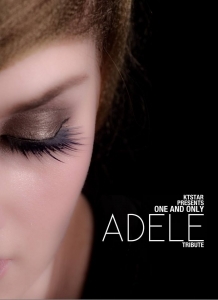 Mainly, an Adele Tribute Act will entertain your audience with a fantastic live show that will put the wow factor into celebrations and impress your guests, whatever their entertainment tastes may be. What event types are Adele Tribute ACTs hired for? Adele’s songs have become extremely popular at wedding ceremonies due to their sweet and romantic lyrics! What about hiring an Adele Tribute Singer for when the wedding guests are coming into the wedding venue?! To get everybody in a relaxed and soulful mood for the upcoming nuptials, we would advise songs such as ‘When we were Young’, or ‘Crazy for you’. You may then want to hire an Adele Tribute Act to sing live as the bride is walking down the aisle?! For this special moment, we would advise to request songs such as ‘Remedy’, or how about Adele’s fresh take on the Bob Dylan song ‘Make you feel my love?’. This will surely have everybody in tears! You can then request that the Adele Tribute Act perform her cover of ‘You Make me feel like a Natural Woman?!’. The Adele Tribute Act can be set up at your wedding drinks reception with just a guitarist or a keyboardist as backing, and belt out classic Adele numbers to mellow everybody as they schmooze! The music of Adele will create a wonderfully happy atmosphere as the bride and groom catch up with friends and family. You can count on songs such as ‘Set Fire to the Rain’, ‘Rolling in the Deep’, and ‘Chasing Pavements!’. The Adele Act can play inside or outside (weather dependent!) and will shine as people enjoy the wedding drinks refreshments. You may want to hire an Adele Tribute Band to cover the best of Adele as the wedding guests are entering the wedding breakfast venue. For this, we would suggest big, sweeping Adele songs such as ‘Hello’. The Adele Tribute Act can carry on performing chilled out Adele hits as the wedding guests tuck into the wedding courses. You can expect to hear songs like ‘Send My Love’, ‘All I Ask’ and ‘Love Song!’. Perfect for soundtracking the wedding breakfast proceedings! The Adele Tribute Act can carry on playing right up until the wedding speeches and the cutting of the wedding cake! Hire an Adele Tribute Act for the wedding evening reception and you won’t be sorry! Adele appeals to people of all ages due to the fact that her songs are universal and non-offensive, yet they still have edge. Adele’s music is cinematic and majestic, so hiring an Adele Tribute Act for the wedding evening reception would be a brilliant move! You can expect to hear world smashing stunners such as ‘Skyfall’ and ‘Rolling in the Deep!’. Some Adele Tribute Acts will perform with a full, live band, some will perform with just a pianist or guitarist, and some will perform by singing over backing tracks. Book an Adele Tribute Act for your corporate event and you can expect to hear songs from the Adele albums ’19’, ’21’ and ’25’. Rumour has it that Adele Tribute Acts are hugely popular at work parties! Hire an Adele Covers Band to perform at your work Summer party, a colleague’s leaving party or a work Christmas party and you will get a talented singer who will unite your co-workers with songs they all know and love. Adele’s back catalogue covers all kinds of genres and styles including fast, upbeat soul songs, to slow, piano led beauties. The music of Adele performed by a live band will be a great bonding experience for colleagues! You may be searching for a great singer for holiday resort entertainment or cruise ship entertainment? An Adele Covers Act would be great because the music of Adele is far-reaching and has wide-appeal - her record breaking albums sales tell us this! You can expect to hear songs such as ‘Chasing Pavements’, ‘Water Under the Bridge’, and ‘Sweetest Devotion’. If you’re hiring acts for a trade show or a product launch, then you might want to hire an Adele impersonator to sing the best of Adele to help boost your product?! The Adele singer can be set up in a shopping centre or in a shop and with that voice, they are sure to be real crowd-stopper for potential clients and customers! Hire an Adele Tribute Act for your party entertainment and you will be blown away at the response from your party guests! The Adele Tribute Act would be ideal for a cocktail party or a garden party and will cover all the Adele hits that you would expect to hear. The music of Adele performed by a live act will impress everyone at your diva-themed party! A diva themed party will have your friends and family dressed up as their favourite female singers all the while the hired Adele Tribute Act blasts through the biggest Adele songs ever! An Adele Tribute Act would be great entertainment for an anniversary party due to the fact that Adele has a vast amount of love songs which would suit the atmosphere! Maybe you are hosting a ‘Best of British’ party? Adele has become the Queen of British Pop music over the past decade and so they’ll be nobody more apt to hire for your ‘Best of British’ party! You can convince your party guests to dress up as their favourite historical figures from Britain’s rich past such as Winston Churchill, Charlie Chaplin and Princess Diana and all of this fun can be soundtracked by an Adele Covers Singer to blast out the greatest Adele songs of all time! How much do Adele tribute ACTS cost to hire? Our simple to use entertainment directory allows you to firstly search for the best Adele Tribute Acts who are local (or travel to your area) and then via the contact form you may message them directly to enquire for a no obligation quote to perform at your event. Some acts will also add a rough price guide to their profile for your convenience. What are the usual set formats and performance lengthS for Adele tribute acts? An Adele Tribute Act can tailor their performance times to suit you and your event, however, on average, a professional Adele Tribute Act will perform for two 45 minutes sets. How much space will an Adele tribute act need at your event? If your Adele Tribute Act comes as part of a full band, then you will need space for a full band back-line. This will mean that you’ll need a stage area of at least 4 metres by 3 metres. What equipment and set up requirements do Adele tribute acts need? As with most artists who sign up to Entertainersworldwide.com, an Adele Tribute Act will provide all of their own equipment. You may want to enquire if they need a PA to amplify their sound, in which case we would advise to use our easy to use messaging service to find out. We do ask that each performer gets a backstage area in which they can prepare for the performance ahead. If your venue does not have a backstage area, then we kindly ask that you enquire with the venue to seek an alternative space in which the performer can comfortably get ready to entertain. How can you find and book an Adele tribute Act with Entertainersworldwide.com? 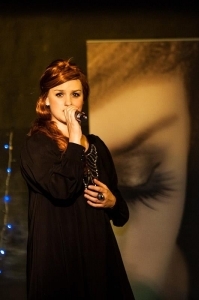 WANT TO RECEIVE A RANGE OF QUOTES FROM Adele Tribute Acts?